The iPhone 4S is one of the slickest devices out there, with its jet-black glass-on-metal look. 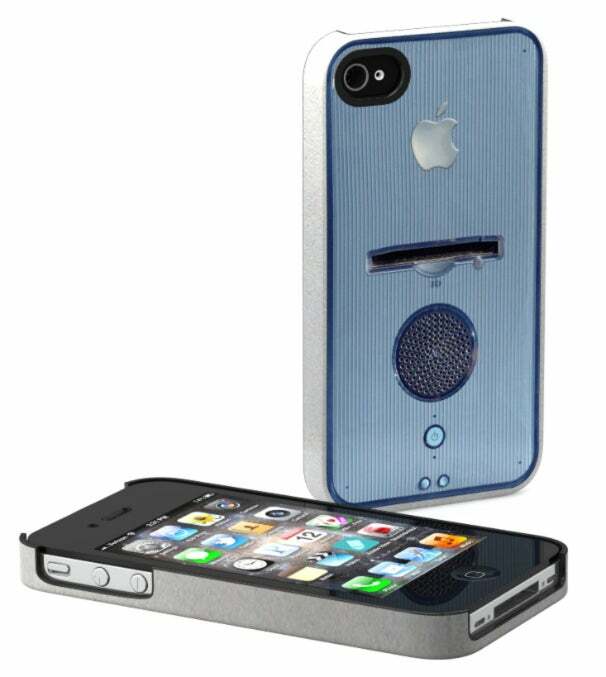 But we love a good retro throwback--like these old school Apple design iPhone cases by Schreer Delights. The line of cases replicates the look and feel of Apple’s designs for the original Macintosh, iPod, and a few Macs from Apple’s PowerPC days. Anyways, strap yourself into the nostalgia train while we take a look back at Apple before it was cool. First up is the Apple Power Mac G4-themed case. The Power Mac G4 was Apple's high-end tower from 1999 until the Power Mac G5 came out in 2003 (though the G4 lived on until mid-2004). The iPhone case pretty much captures the things that made the G4 unique, including its slot-loading drive [Update: it was a Zip drive, according to readers] and the built-in mono speaker--which sadly does not actually work as a speaker with the case. Next up is the iMac G3-inspired case (pictured at top), and of course it’s the one that comes in the most (neon) colors. This was one of the last times we saw a Mac with a CRT monitor (the eMac was the last CRT-based Mac) and a cool see-though neon-colored plastic body. Sadly, this case does not include the iMac's handle. to say about the iPod? It revolutionized digital music as we know it, it helped push MP3s into the mainstream, and it had that awesome clickwheel. 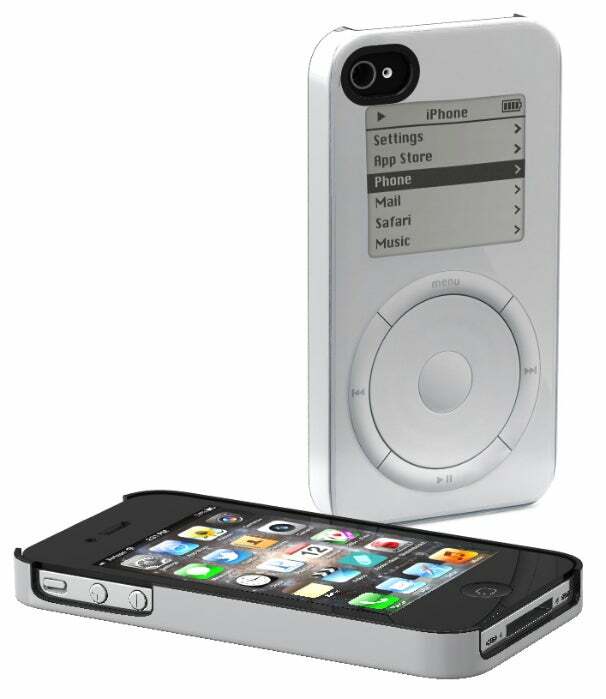 This case (right) makes the back of your iPhone look like the front of the original iPod. Last stop is a case inspired by the first-ever Macintosh computer (below), which made its debut in 1984. The case celebrates everything about these old-school computers, from cream-colored plastic to the rainbow Apple logo and the SCSI port. If you dig these iPhone cases, you can buy them directly from Schreer Delights for $45 each. But you might want to act quickly because Apple’s legal team is sure to follow up on some intellectual property rights violations. What’s your greatest Mac memory? Leave a comment.